Normally, we may not be able to look after your baggages before check-in (15:00). Because our hostel is closed until 15:00. When your check-in passes over arrival time, be sure to contact us. Thanks for your understanding and cooperation on this matter. Free car Parking. 2 cars only. Guests are required to book for use of the parking lot in advance. On-the-street parking in front of hostel is a possibility. This place was really friendly and cosy, it felt like a homestay. The cat and dog are so cute. Sadly I didn't get to try the breakfast but it looked delicious. The kotatsu is amazing in winter! They have an amazing manga collection too. I took a point off for location just because it was really difficult to drag my case up the hills in the deep snow. Although, because the town is so small, you can get a taxi for a really good price. This is the cutest hostel I have ever stayed at. The beds are comfy and the chill out areas are perfect for rest and relaxation. Hug (dog) and Momo (cat) are super friendly hostel pets and love attention. If you stay here, I 110% recommend the breakfast. It is a super tasty Japanese experience and I wish I could eat it everyday. This has to be the cutest hostel i have stayed in. 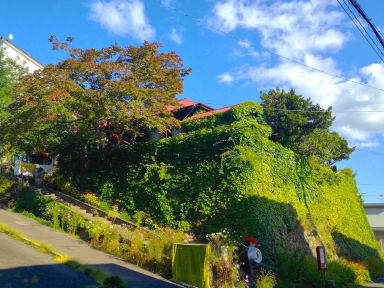 It is not too far from the station but it is an uphill walk. Very friendly staff and very pleasant stay. Very cosy place with friendly staff and two adorable pets- Hug the dog and Momo the cat! I loved the atmosphere here and the homemade breakfast was delicious. Mayumi is such a wonderful host and her breakfast is delicious! The hostel is very cosy and cleaned immaculately every day. Really glad I stayed here, thank you! The hostel is adorable and the staff really kind. I would come back if I'd be in the area. Unique hostel and great host! 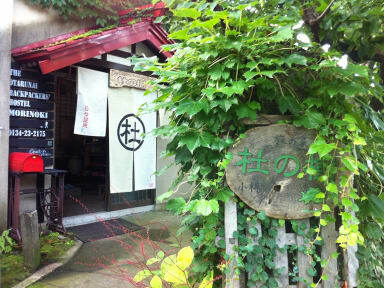 Hidden 10-15 min away from the popular canal area is this cozy Jap style guesthouse. Staff are kind and helpful and the rooms are neat and clean. Defs recommend if you’re looking for a quiet yet homey environment. Not our first hostel stay. Four adults. Very difficult to identify the building - poor signage. Food crumbs on kitchen table. Rooms were dark, congested, uninviting – not a fresh, smell. Bedding was a collection of old, mismatched pieces - dark colors. The entire place seemed messy or very cluttered. Spent about 12 minutes inside facility, and left. BEST thing about this experience: the owner gave us a FULL refund, without hassles. May be okay for young backpackers, not for adult vacationers.